Stunning! 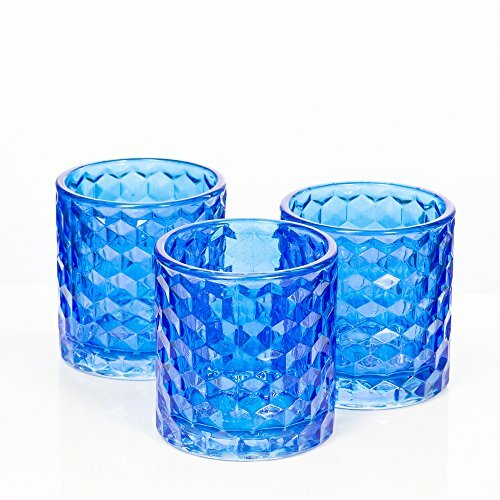 Our brand new chunky honeycomb colored glass holders are to die for! The brilliant red color of this holder combined with the textured honeycomb design create the perfect combination to wow your guests. Once this holder is filled with candle light the glow it produces is delightful! Mix and match with the blue, green, amber, pink, or purple for intrigue or mass the same color to create a bright burst of color on your table! Perfectly pairs with our votive or tealight candles. Options are endless with this beautiful holder.